We love art, learning and spending time out in nature so why not combine the three? 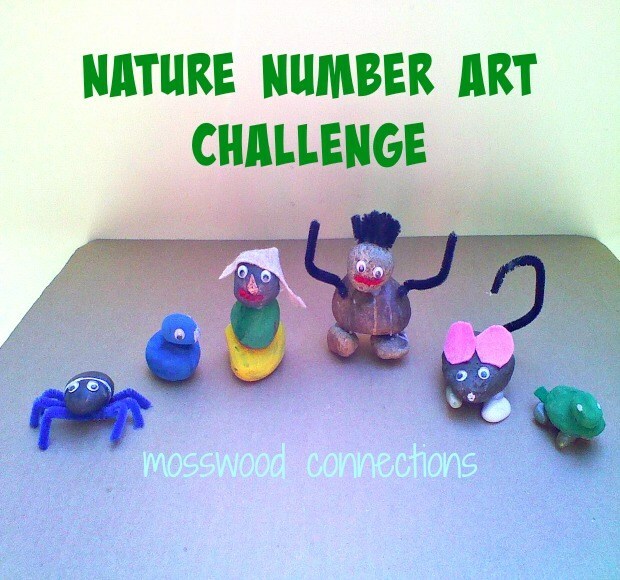 Nature Number Art Challenge: A Counting Game, a Treasure Hunt and a Craft that the Kids Will Love! 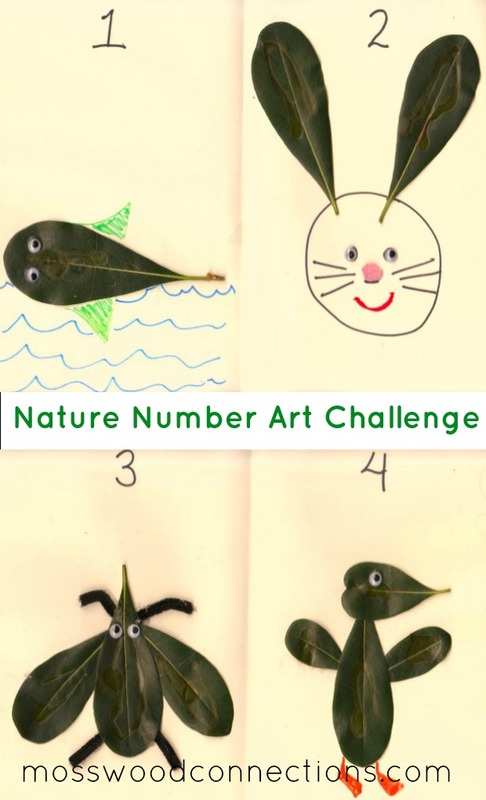 Take our Nature Number Art Challenge and see what art your kids can create with natural objects. We love being out in nature and we have a lot of fun doing art and craft projects so why not do both while learning. The object of this activity is to get kids thinking creatively, practice visual-spatial skills (putting objects together to make something), and work on number correspondence. Natural items like rocks, leaves, sticks, berries, etc. Random craft items to use for decoration. First, we went out for a walk and collected things as we went. Be sure that you are walking in an area where collecting is not prohibited. We found some interesting rocks so that is what we decided to use first. The object is to make something out of one item, in this case, a rock, then two of the same item, then three and so on. All of the items have to be part of one finished object. They created objects using up to six items. You can add another element to this activity by using a dice. Have the children roll the dice and make something out of whatever number they rolled. This project needs a lot of drying time. Glue the objects first, allow to dry and then add the decorations. After rocks 1 and 2 were done we let them dry and moved on to the leaves that had been collected. The kids told me that some numbers were harder for them to think of what to make. One leaf was challenging for them. They had more fun with three and four items. Using five and six items was interesting for them. They were surprised that more rocks didn’t mean they would have larger finished art project. By the time they were up to using six items to create one object, they felt that they had gone far enough and that more would be too hard. How about you? 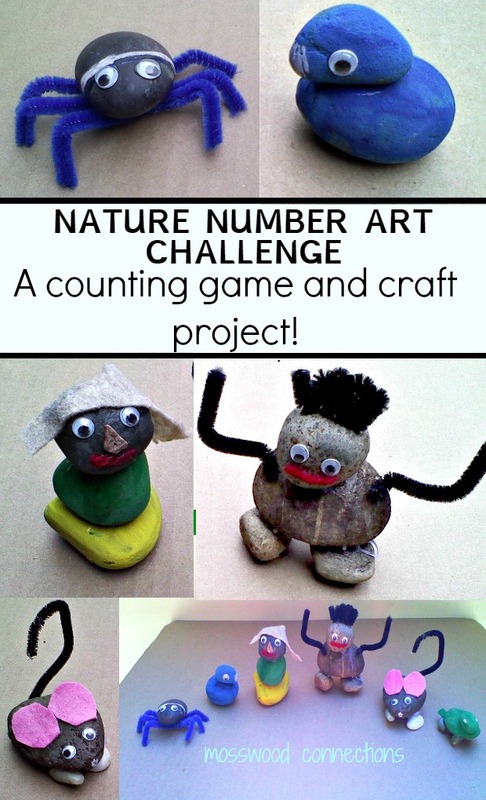 How many items can you use to create your own Nature Number Art?